Write “Life” in sharpie on the white T shirt, Carry around the lemons and you’re done. If you have enough lemons you should give one to someone! This comical costume can be created with a items from your house..! All you have to do it write “Error 404” at the top of the shirt and “Costume not found” on the bottom of the shirt and that’s it! The concept is pretty basic the idea overall is pretty clever! Bone chillingly terrifying... or is it.. This easy funny costume will make even the scariest fellow costumer laugh. All you must do it draw fake blood on a the empty cereal box and attach it around your neck with the rope. You’re done! Halloween is coming up and you know what that means! Spooky stories *cue ghost sounds*. So listen hear for the story of the Babysitter. One night, a teenage girl was hired by a young couple to babysit their two small children. 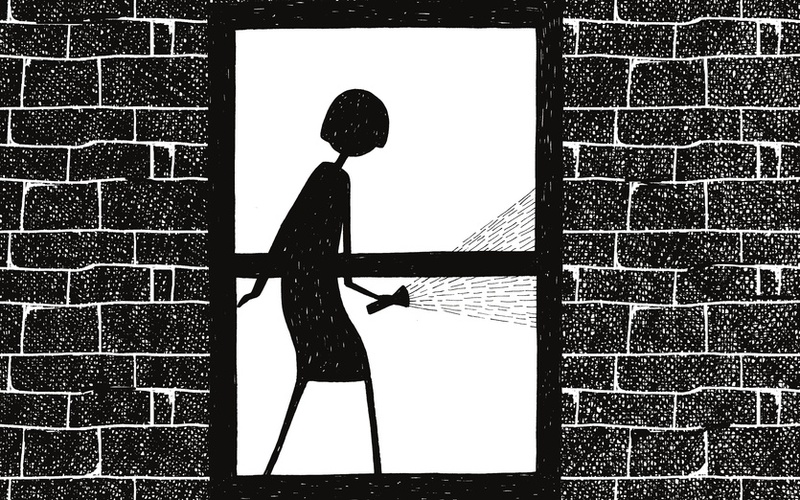 So the couple leaves, and the young girl is left to tend to the kids in a big lonely house at the end of the street. When it starts to get late, she lays the children to sleep and goes to sit on the couch and watch TV. Then suddenly, the phone starts to ring. A little taken aback, the girl picks up the phone and speaks quickly “Hello?” She could only hear heavy breathing and the raspy voice of a man respond saying that he’s “coming to get her”. Scared, and somewhat wary, she hangs up simply dismissing it as a prank call. 15 minutes later the phone rings again. When she answers, she hears the mean chuckle and say he’s closer now. Truly frightened now she hangs up and calls the police. They dismiss it as a prank call to, but say they’ll try to trace the call. They also tell her to keep him on the line for as long as possible. Then she sits down on the couch, wide awake. Finally the phone rings a third time and the mans says “It’s only a matter of time” and continues breathing heavily. To scared to listen any longer, she hangs up. How can you work to help this? There are a couple common treatments. Therapy can help by talking through issues and feelings you may be dealing with. Counselors can be a trusted source to share with them. If your therapist and you feel it is time to take another step to getting better, talking to a doctor might be a possibility. There they will introduce the idea of antidepressants. These will help by balancing chemicals in your brain called neurotransmitters that affect mood and emotions. These depression medicines can help improve your mood, help you sleep better, and increase your appetite and concentration. It may take a while but whatever you can do to get you to a better place in your life, you should really consider it. Just remember, you are not alone and there is no shame in getting help! “The State of Mental Health in America.” Mental Health America, 17 Oct. 2017, www.mentalhealthamerica.net/issues/state-mental-health-america. This is an image of Ulaanbaatar, Mongolia. I had the chance to interview an ex-pat blogger named Rebecca Mutrux. She was born in Kansas City, MO but has lived in countries such as South Korea, the United Arab Emirates, and China. She lived in Mongolia as an art teacher for five years. She moved to Japan in July of this year. Her blog is flyingsoloflyingfree.blogspot.com if you would like to check it out. She lived in Ulaanbataar, the capital of Mongolia. I asked her five questions about what life is like in Mongolia these are the questions and her answers. Q1-What part of Mongolia did you live in? 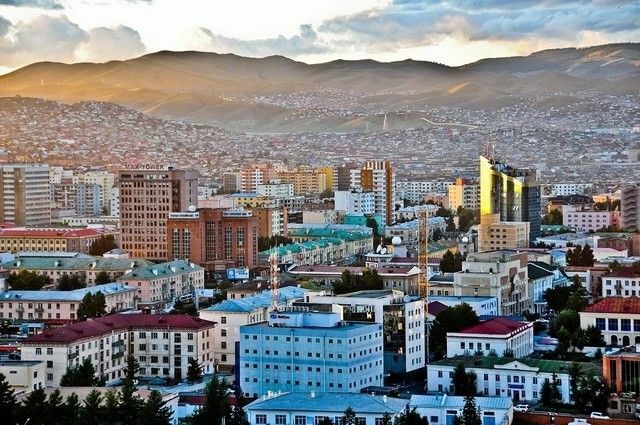 A1- I lived in the capital city, Ulaanbaatar (sounds like oo-lawn-botter). Here's the thing about Mongolia - one third of the whole population lives in the capital, to get better access to health care and education, so if you don't leave the city, it doesn't feel like the least densely populated country. ESPECIALLY when you are stuck in traffic - the city definitely wasn't made for 1 million people. But if you drive an hour away, you definitely start to feel it - the roads turn pretty rough and you don't see permanent buildings...sometimes you can drive for miles and miles without seeing a ger (kind of felt hut used by nomads - other countries call it a yurt). Q2-What are some fun things that you can do in Mongolia? A2-In Ulaanbaatar there was like lots to do - restaurants to check out, live music, and sporting events. We had basketball and hockey but the biggest sports event was Naadam, one of Mongolia's two big festivals. Men compete in wrestling, archery, and horse racing. Each town throughout the whole country holds their own Naadam, but the biggest one is in the capital. Q3-What are the people like in Mongolia? A3- I've lived in several countries and I have to say that Mongolians are the kindest, most genuine people, and - as a teacher - my favorite to have for students. In a traditionally nomadic country, everyone has to help each other out, and even in the city there is still a strong tradition of hospitality. In the countryside, you don't even have to knock on the door - if you are visiting someone you just call out, "Hold onto the dog!" Sorry, I don't remember how to say it. Q4-When you were in Mongolia did you feel like there was a stable government and or that you felt safe? A4- I always felt safe in Mongolia. Even when there were protests, I never felt like there was going to be trouble. The protests that I remember were for clean air - a big problem in the winter. The two biggest threats to general safety were wild dogs and drunk people, but for the most part neither was a big problem. A5- Yes, I felt very free. My biggest problem was that it was hard to get everywhere that I wanted to visit - with road conditions being bad and fewer trains and buses, you needed to hire someone to drive you most places if you wanted to go explore outside the city. But I was a foreigner with a good paying job. If I had been the average Mongolian citizen, I imagine financial concerns would have placed a lot more restrictions on me. This Q&A showed me, and I am sure you too, the life of someone in a country filled with culture and inspiration. This is an amazing country with opportunities which will make you chill. If you ever have a chance to come to this inspirational country, take it because you will have experiences that you will never forget. Do not let its small population for its size fool you, because the people and the nature are beautiful in their own ways. Love is truly one the most amazing, confusing, fulfilling, devastating, emotionally draining thing a human can experience. Whether it be in a romantic sense, or just someone in your life you feel very attached to. It surely takes a lot out of you, in a good... and sometimes bad, way. I feel as though we depend on it to be happy. Here are some interesting facts about love that might surprise you. Heartbreak is not just a metaphor. Research has shown that intense, serious situations such as break-ups, losing loved ones, and divorce can cause actual pain in some areas of the heart. The condition is called ‘broken heart syndrome.’ Deep emotions like this can make chemicals from your brain go to your heart and make it weak. Another interesting fact is that the thought of a loved one triggers creative abstract thinking. This is based on the “construal level theory.” Reminders of long-term relationships, devotion, intimacy, and commitment influence and trigger concrete thinking. Helping to focus more on momentary things such as long term plans or goals. If you would like to learn more about these powerful emotions that we experience daily, go to InterestingFactsAboutLove.com. “20 Interesting Facts About Love.” Bored Panda, www.boredpanda.com/love-facts-list/. ​Why do leaves change their color? You may have wondered sometime in your life why do leaves change their color in fall into these beautiful fall colors? Here is why they change: plants use the power of the sun to cause a process called photosynthesis, this process uses air and water to turn into a sugar that trees need to live. The leaves are usually green due chlorophyll found in chloroplasts in the leaves. As winter comes, the sun happens to stay up for less time every day, which makes chlorophyll harder to keep trees sugared up with, leaving them to collect extra food in the summer. Trees stop using chlorophyll during the winter because if they did it would be just a waste of energy. Chlorophyll usually steals all of the spotlight, but leaves also contain other pigments. These pigments are the same reason carrots are orange and egg yolks are yellow. Without chlorophyll's green, these other pigments make themselves known. Sometimes trees produce the same red in raspberries. The exact coloring of fall foliage is the result of a mix of these red, orange, and yellow pigments. Environmental conditions that can change, the amount of sunlight, soil moisture, and temperature can all make a big difference. Eventually sunlight kills all of these pigments except brown. The cells of the leaf also will break down which make them very fragile and dry. Eventually wind will break the dying leaf from the tree, leaving the tree with a tiny scar. For all trees the color will vary by type of tree. The process starts again the next year. This is a complicated process, but it sure is beautiful! Glee is a very popular TV show that aired May 19, 2009, but recently we came across the show on Netflix. 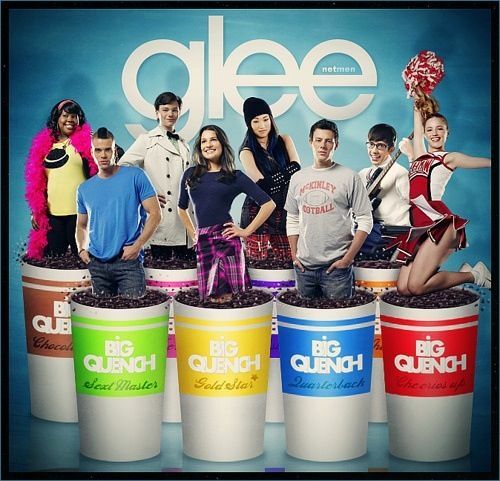 The show is about high school students who join a singing group called a Glee club at their high school (William McKinley). The show is based on the the group, the New Directions, going through the very stereotypically high school struggles. The main character is William Schuester. He is a high school teacher who decides to start up the Glee Club. He hold sign ups for the group and barely anyone signs up. He looks around the school, trying to find anyone with a good voice. In the end, he gets multiple people to join, and they all sing like angels. Well, that’s our opinion anyway. The people that join are Rachel Berry, Kurt Hummel, Finn Hudson, Brittany Pierce, Noah Puckerman, Mike Chang, Artie Abrams, Mercedes Jones, Tina Cohen-Chang, Quinn Fabray, Santana Lopez, and Sam Evans. The group obviously has their fights, but they end up growing on each other. They have to come together because Sue Slyvester, the cheerleading coach, for whatever reason feels the Glee Club as a threat to her Cheerios. The Cheerios are her cheerleading squad. There is a lot of drama that goes around the school this year. Watching the drama that faces the Glee Club keeps us coming back for more! If you're looking for a new show, we'd recommend watching Glee! Most of the people have probably seen the movie Peter Pan or have heard of the story, but do you know the story behind it? Well, the other day I had the opportunity to go see the play Finding Neverland. It is based off of the story behind Peter Pan, and here it is. . . A man named J.M Berrie, a playwright, was stuck and couldn't think of a new play idea that was original. One day, when walking through the park, he ran into a group of brothers and their mom, but one of the brothers stuck out to J.M. His name was Peter. Peter was different because he wasn't playing with his brothers, he couldn't play when all he could think about was how their father was no longer with them. Berrie's observations turned into more than just observations - he started to care for them, and a bond grow between him and the family. The play overall was phenomenal, the sets were unbelievable, and the vocals and acting were outstanding. I would definitely recommend the play to anyone, or if you can't see the play definitely check out the movie Finding Neverland! #10 The first spot on the list goes to the sk8-hi Vans (black and white). They're cheap but still as popular as the more expensive shoes on this list. The $30-$60 price makes a shoe that you're not going to worry about getting a little mud on. The shoes are low profile and go great with almost any pants. #9 The second shoe is the Adidas NMD XR1 triple white. This shoe should be a bit more popular for having a boost sole but, nonetheless, it still up there in popularity. The XR1 has a primeknit upper with a rubber cage and ultra boost sole, which makes the perfect combo for a comfortable and stylish shoe. But at a price of 180$+ you might want to find something else. #8 The third shoe is the Huarache all white. these shoes really made a comeback last school year but, are still in style and will probably stay in style for this school year. If you're trying to make your outfit ¨pop out¨ the the huarache will do just that. #7 Next on the list is no other than the Jordan 13 bred. The bred colorway was made by MJ himself to represent his team, the Chicago Bulls. Since the Bull’s colors are black and red, he combined the two to get bred and that was a colorway for Jordans ever since. The 13’s go good with skinny jeans. #6 Timberlands takes sixth place for being stylish and usable boot. They have a brown suede upper and a iconic tongue and toe box, these shoes are awesome. At a price of 180$ you are getting quality shoes that will last you even if you're trying to destroy them. #5 Fifth on the list is Rare Air Jordan 1. With three different colorways, each one as good as the other, these shoes stands out. The first colorway is the orange black and white, this one pops out the most but is still kind of “low key”. The other shoe is the blue black and white “soar blue”, which looks a lot like the Jordan 1 royal but just has added white. The last one is the most “low key” but is still straight fire, it is black, grey and white. #4 In fourth is the white on white Air Force lows, these shoes are all white and stand out quite a bit. The shoes are classics made in 1982, maybe your dad was rock´in those in high school. They're still in style, though! #3 ​The EQT Black Turbo from Adidas takes third place on this list. Coming out this past summer it has a new design and takes a new play on the three iconic stripes from Adidas. This shoes is 100$-120$ so it's somewhat expensive but is stylish and great for running too. ​#2 This place on the list goes to any Ultra BOOST shoe. These shoes are straight fire and one of the most comfortable shoe you've ever tried on. And anybody who knows the slightest thing about sneakers will have mad respect for you. They don't come cheep though, with a price tag of 120$-300$. #1 The most popular shoe on the list is the Japan pack NMDs. Ether all black or all white, these shoes are the definition of Adidas success. After Adidas made Boost foam for their soles, Adidas took off surpassing Nike in the shoe game. The Japan pack NMDs are nice running shoes too, but they will be close to impossible to find at stores. You can order them online for 180$-210$.